The 315W LEC grow light (a brand name version of the “Ceramic Metal Halide”) is relatively new to the growing scene and is a popular alternative to HID lighting. 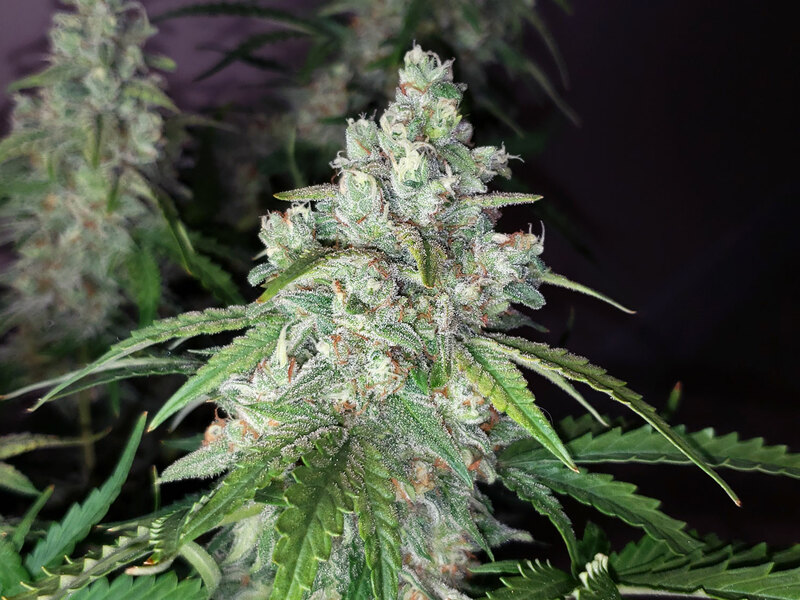 It excels in the vegetative stage where it produces fast growth, though it also does a great job in flowering by producing strong, sparkly bud. 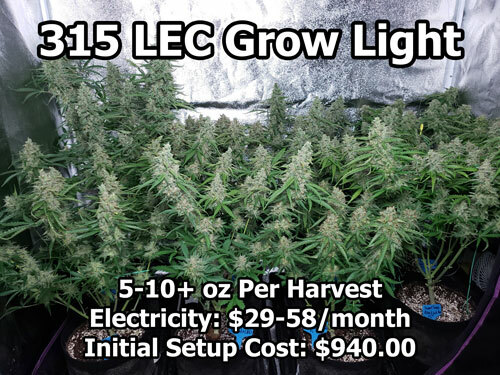 LECs provide a significant amount of UV-A which may explain why the buds tend to look so glittery. 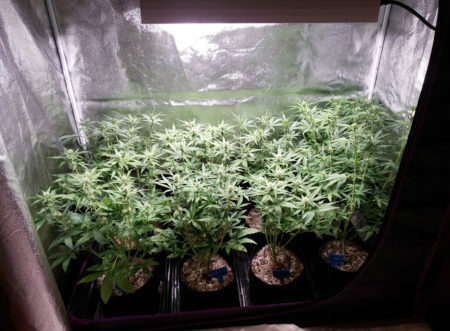 If you follow these 8 simple steps you can harvest a pound (16 oz) or more with this system, bringing the per-ounce cost as low as $20/ounce after the first grow. The model I use and recommend is the 315 LEC Grow Light from Sun System with a “Vertical Bulb” orientation. 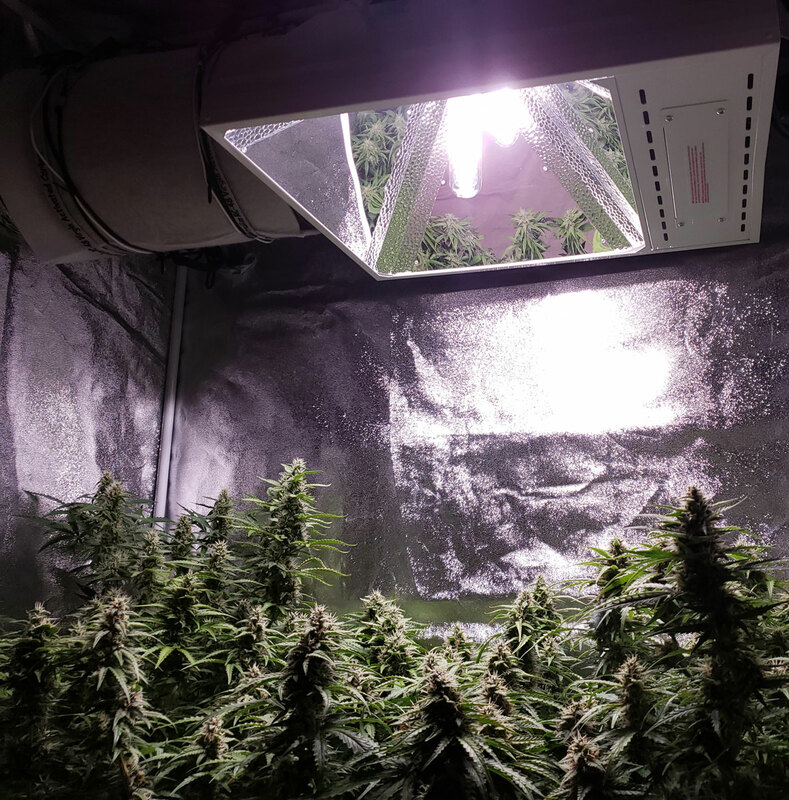 I use a brand name Philips 4100K colored bulb from seed to harvest (included). 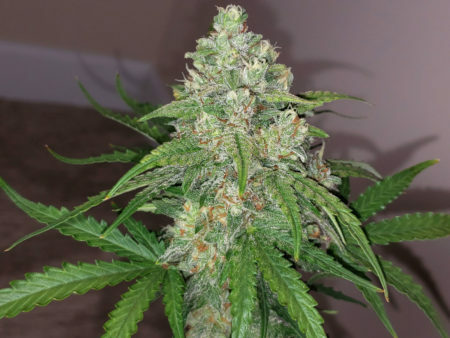 (optional) There is a 3100K color bulb available for the flowering stage which may help increase bud fattening. Get the brand name Philips bulb or a generic version. 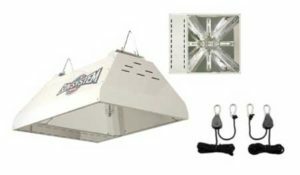 A quality 6″ inline exhaust fan works best. Avoid small cheap “booster” fans as they usually don’t have enough power to exhaust all the hot air effectively. 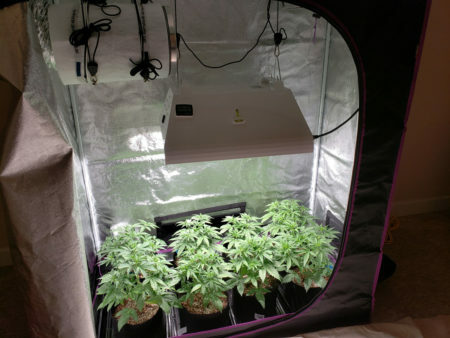 Hang from inside tent to help keep quiet. Must be used with an exhaust fan to effectively remove smells! 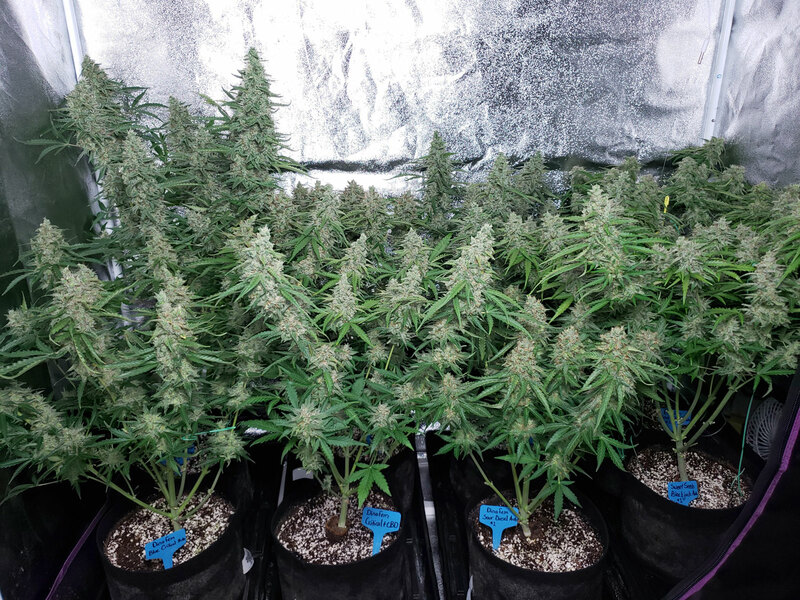 Learn more about controlling odors.